Tinctures are alcohol based preparations. In general, alcohol is a better solvent than water for most extracting most plant constituents. While removing nearly all relevant ingredients of a herb, it also acts as a preservative allowing the medicine to have a much longer shelf life. Making a solvent based preparation will extract all the fat soluble constituents as well as the water soluble ones. The commonest solvent is alcohol but vinegar or glycerine can also be used. When tinctures are prepared professionally, specific water/alcohol proportions are used for each herb. For home use it is best to use an alcohol such as vodka of at least 30% (60 proof), as this is the weakest alcohol mixture with a long-term preservative action. 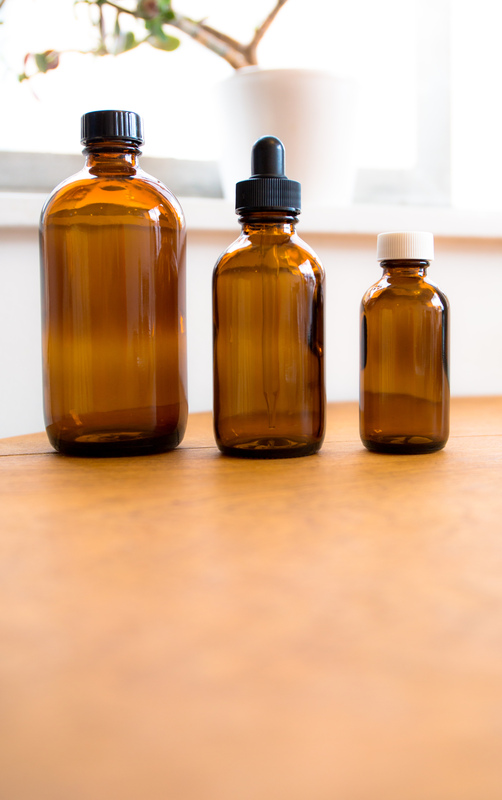 Tinctures are much stronger, volume for volume than infusions or decoctions, therefore the dosage to be take is much smaller depending on the herb. They can be made and used in a variety of ways. They can be taken straight or mixed with water, added to a bath, mixed with an oil or ointment, or added to lozenges and suppositories. When making a tincture the herb is called the marc and the combination of water and alcohol is called the menstruum. The most effective proportions of marc to menstruum for each herb have been established and are written: (1:2), (1:4), (1:10) etc. In each monograph you’ll find the information on the correct proportions of alcohol and water to use for each herb. These figures are based upon the constituents of the herbs (eg. a herb with a high oil or resin content will require more alcohol to extract those items than would a herb containing bitters or tannins). A tincture made to a (1:1) strength is called a fluid or liquid extract. The quantity of alcohol in a tincture is written as a percentage (eg. 25% or 60%). It must always be at least 25% to ensure sterility. A higher percentage such as 90% can be achieved through several grain alcohols and will extract the resins in plants such as Zingiber off. & Calendula off. Pour on the required amount of alcohol followed by the required amount of water (If you cannot get all the water into your jar then make a note of how much is missing and you can add it later). Cover the jar tightly and leave it to macerate it for 2 weeks shaking it every day. After 2 weeks strain it off and store in a cool dark place. Eg. To make 1 litre of a (1:5) tincture with 25% alcohol you would use – 200 grams of herb, 250 mls of alcohol and 750 mls of water.